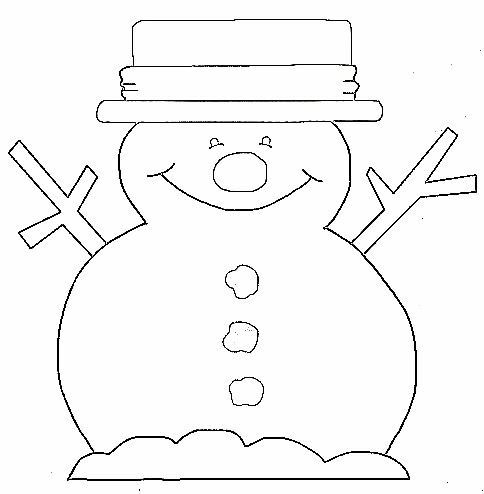 Craft or color this perfect snowman template. The black and white outline of a fun snowman is part of our snowman template collection. Use your imagination and use with fabric, as a coloring page, stencils.